I don’t know how many documentaries they show during the ten-day Montclair Film Festival. I saw five and suffice it to say that is a mere drop in the bucket. While the availability of outlets for documentaries has been increasing of late, it is still relatively rare to catch them in theaters on a big screen. Here’s some of MFF15’s nonfiction on film. The Love Song of R. Buckminster Fuller – This is like no documentary I have ever seen. On one side of the stage at the Wellmont Theater filmmaker Sam Green provides live narration. On the other side Yo La Tengo is playing a live score. R. Buckminister Fuller is best known as the inventor of the geodesic dome. His designs are based on the philosophy that if we can do more with less there are enough resources in the world for everyone. Some of his lesser known inventions are even more fascinating. One was the Dymaxion car in the 1930’s. The car carried 11 passengers, got 30 miles to the gallon and could reach 100 mph. A prototype was involved in a crash at the Chicago World’s Fair that killed the driver and the project. No less curious was his public persona. Green shows a tape from Fuller’s archive of a TV segment titled Buckminster Fuller Meets Hippies on Hippie Hill. 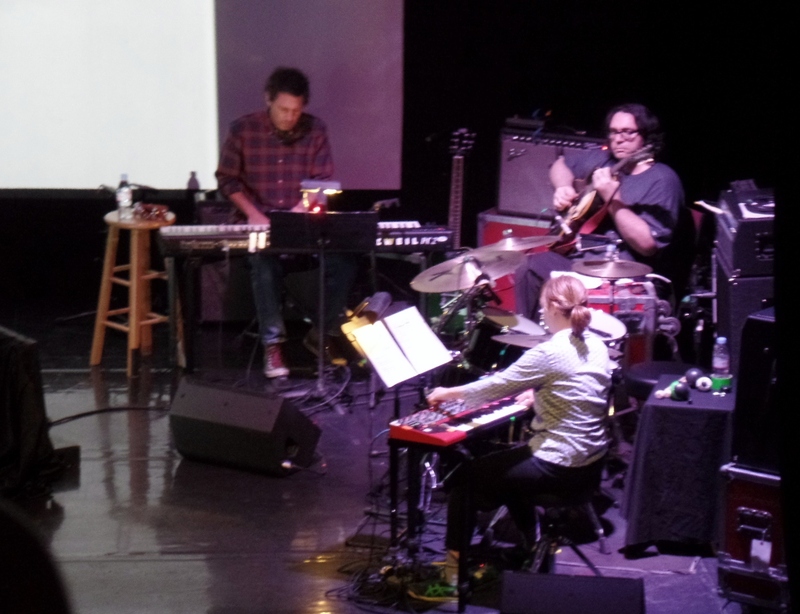 Yo La Tengo is one of my favorite bands and I would have expected them to command most of my attention. But their softy futuristic sounding score enhanced rather than distracted from the movie. I don’t know where this movie goes from here. You can’t exactly license it and show it theaters everywhere. But I’m sure glad I got to see it. Hot Type – This is an ode to media, classic style printed-on-paper old media. The Nation is 150 years old and while the movie celebrates that history, it is more about The Nation today. And that is still about well researched long form advocacy journalism, a place where the words matter more than the visuals. You even get to see a writer print out one of his stories on paper and hand it to his editor who edits it with a pencil. Betcha they still know what editing markup symbols mean. It is also a place where they take on interns with the expectation that they are recruiting future staffers. In fact the movie introduces several writers and editors, including the editor and publisher Katrina vanden Heuvel, who came on as interns and then spent their whole career there. The list of people who have written for The Nation include Arthur Miller, Martin Luther King, John Steinbeck, Allen Ginsberg and Hunter Thompson. My favorite quote in the movie comes from Bill Moyers who comments that the Nation “can get close to the truth because it never tried to get close to power.” After watching this I went home and bought a year’s subscription. Arts education is a topic I’m close to. I have an adult daughter who majored in music and supports herself with a variety of music education jobs. And I have an 11-year-old son who plays keyboards in the school orchestra, sings in the choir, and is in a drum performance group. So I brought him along for the arts education docs. Some Kind of Spark – An inspirational movie about New York City kids who participate in a two-year long Saturday program at the Juilliard School of Music. This is a documentary that doesn’t take the easy story line about what wonderful things are being done for these poor disadvantaged kids. It instead focuses on the challenge and the accomplishment of these middle school aged children in taking on a violin or a trombone or a flute and working to achieve a proficiency fitting for participation in an elite music education program. Two of the children and one of the teachers appeared at the screening and it is only there that we learned some of the stories about one Haitian child who appeared at the initial audition with a recorder or about the twins who commuted for two hours on their own on Saturday morning from the far reaches of Brooklyn. Aside from telling a compelling story this documentary is beautifully filmed, marking the passage of time with city scenes denoting the seasons. Ceremony for This Time — This is actually two documentaries. A PBS show from 1995 portrayed Montclair’s Glenfield School, a middle school with a performing arts theme. That was followed by a new film interviewing some of the people who were at the school when the earlier documentary was filmed as well as some current students. The larger theme is the value of arts in education. That not something that every school district buys into and those that do don’t always allocate the money to do it right. The goal of the film is to show why you should. Happy to live in a school district that gives us this option and my son will be entering 6th grade at Glenfield in the fall. As far as entertainment value, this movie will be of much more interest if you live in Montclair. Top Spin — MFF usually has a movie or two with a sports theme. In past years I remember seeing documentaries about Althea Gibson and Dock Ellis. This one is about ping pong. The film follows three American teenagers who try to qualify for the Olympics, usually against much older competitors. Unlike some young Olympian stories, none of the three appears to by ruthlessly driven by their parents. Perhaps that’s because there’s no money and little notoriety in table tennis in the U.S. But you have to sacrifice just as much and train just as hard. Who knew that lifting weights would be part of the training for ping pong? The film is as fast paced as the game they play. This is a documentary with some drama and a climax as the camera follows two girls and a boy through to the final Olympic qualifying tournament. Everybody ends in tears, tears of joy or tears of disappointment. But a big takeaway for me is how joyfully the kid who didn’t make it heads off to college instead. This entry was posted in Uncategorized and tagged documentaries, education, film, media, Montclair, Montclair Film Festival, movies, R. Buckminister Fuller, table tennis, The Nation, Top Spin, Yo La Tengo. Bookmark the permalink. I have always enjoyed the arts. The world of film, dance and music where you can literally get lost in it all. It makes life so much more colourful and exciting. I like the statement “if we can do more with less, we will live more equally”. I am a big documentary fan as well and when you come across a good one then it sticks with you. The truth always enhances the intensity of the subject matter. Very interesting documentaries. My husband used to be fascinated with Buckminster Fuller. It would be nice to find out if we could see the documentary somehow. I love documentaries! I think the HBO Documentary channel is one of my favorites, so I thank you for introducing me to these titles. All of them sound compelling – I’ve written them down so I can hunt for them. As an aside, my sister majored in music (piano) and I have long been an advocate of arts education in all schools. Ken, your write-up made me want to find out more about all the subjects you listed. Taking your son with you to the Arts Education documentaries was such an important thing to do – would make both of you appreciate the documentary more, I’m sure. I’m a great believer in doing more with less and I resent the fact that the very rich often do so little to help improve social conditions. As Buckminster Fuller said, there are enough resources in the world to take care of everyone. 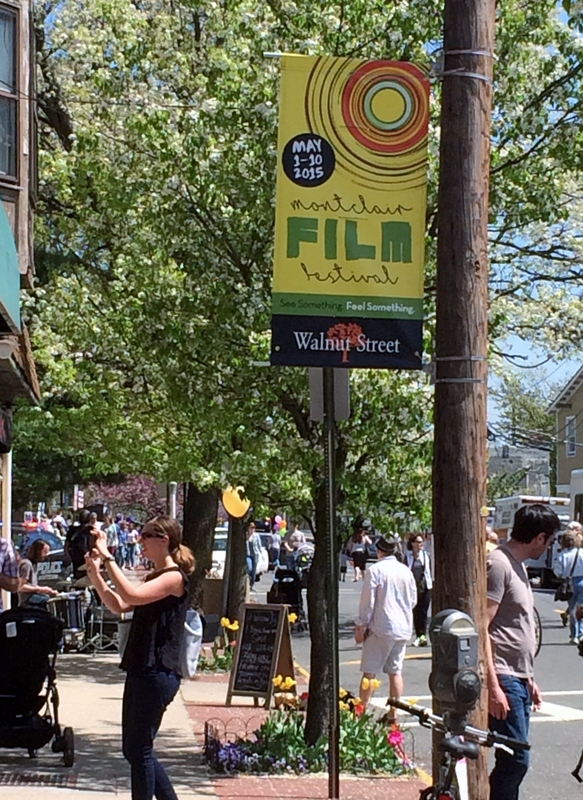 What a wonderful time you must have had at the Montclair Film Festival. Thanks for sharing. When I heard the comments about doing more with less I thought of you. That’s what most of your blog posts are about. I’m interested in Hot Type now that I’ve heard of it. I always really enjoy documentaries when I see them. I’ve been seeing more now that I have Netfilx. I am also part of a film screening program through the Screen Actors Guild and they usually have weekends where they focus on documentaries (though usually the ones up for Academy Awards). Needless to say, it seems you saw a few good ones, and I hope I get the opportunity to see some of them as well. Fascinating. I’d love to go to one of these film festivals someday. But it must be hard to pick and choose which films to see! It is. I went to 9 films but there still were so many things I wanted to see but missed. Glad you enjoyed the Montclair film festival. Documentaries are great, provided they are about a subject we are interested in. I never went to film festival. It is something I want to try. Sounds like you had a great time. I would love to go to a film festival some day. Documentaries fascinate me, just like my real love of books gravitates toward memoirs and essays. I think I’ll add Some Kind of Spark to my Netflix queue. Good choice. I’m pretty sure you’ll enjoy it. Great song. Thanks for pointing it out Andy. Ken- I live in New Jersey and have never heard of the Montclair film festival. Some documentaries I enjoy and some I don’t. I would love to go to a film festival because it is something I have never done and it would interest me. MFF is not that well known because they can fill up the theaters with people who live around here so they don’t have to publicize it that widely. You can go to their Web site and register to get email alerts of events. I love documentaries. I’m interested in Hot Type now that I’ve heard of it. Would love to go to a film festival as I have never been. I’ve never been to an indie film fest. I’m pretty sure I’d enjoy it though.